Like every year, Motorola’s budget G-series and E-series devices are due for an overhaul in 2018. We already have an idea of what the Moto G6 may look like, plus a whole host of Motorola phones also leaked early in official-looking slides. And now, thanks to Evan Blass, we have our first look at this year’s Moto E5 Plus. At first blush, the Moto E5 Plus doesn’t look entirely different than the last year’s Moto E4 Plus. The camera setup looks oddly similar to the one on the Moto X4; however, Blass pointed out that they aren’t actually dual cameras. That being said, it will be interesting to see what Moto plans to do with the secondary cutout beside the camera. The new Moto E5 Plus is expected to catch up on the 18:9 trend with a taller display. We can also see a rear-mounted fingerprint scanner at the back, and a 3.5mm headphone jack on top. 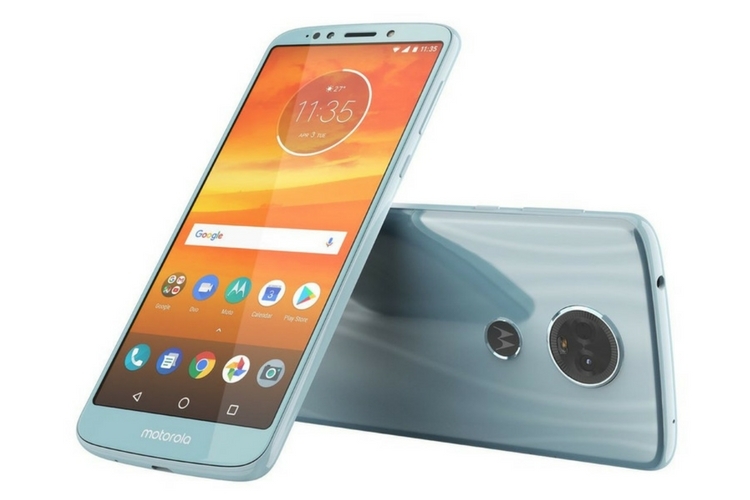 The image also confirms one of the color options – Light Blue (or whatever Motorola plans to call it). Interestingly, the branding on the front says Motorola, which is a change from the Moto being used in the existing line-up. It also appears that the front-facing camera is accompanied with an LED flash. The device is seen running a near stock version of Android, and it is expected to run Android Oreo out of the box. Rumors suggest that the new Moto E5 Plus will carry a 5.5-inch 720p display. As of now, there’s no word on the device’s pricing or availability. It is currently being speculated that the new E5 Plus will debut sometime in April, ie, after the launch of G-series.